Project obstacles and solutions: Abe's Garden is a senior living facility that provides care for Alzheimer's and memory loss patients in middle Tennessee. In an expansion of their buildings and grounds, they designed a multi-level concrete facility with a parking garage. Skanska was the general contractor and Lithko provided the concrete work on this project. The parking area was designed with steel reinforced floors. Any time you are working with structural steel in concrete, there is a concern for the ongoing integrity of the steel. IMI QC/QA designed a mix that used a corrosion inhibiting admixture to keep steel reinforcement from deteriorating in the concrete. 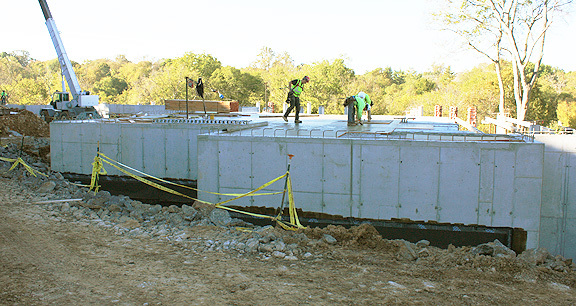 IMI provided 300 yards of concrete for the project.